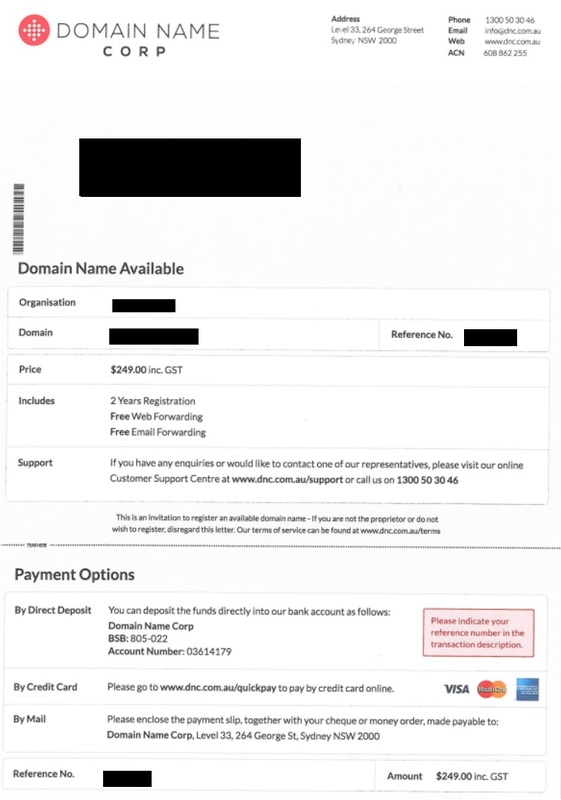 The other day a customer contacted us about an invoice for their domain name. We manage everything to do with our customer’s domain names, including the domain renewal, DNS, website hosting, etc and we hadn’t sent them an invoice! I was a bit confused and I asked them to email it through to us, as it turns out the “domain renewal” invoice wasn’t for their real domain, it was a scam! Please share this on facebook/twitter/etc because it may also help your friends!